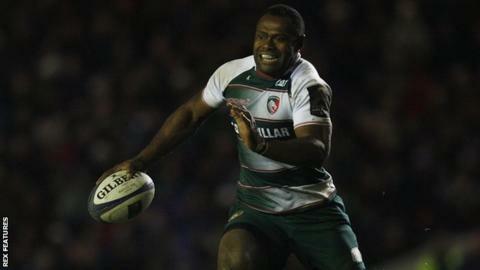 Newcastle Falcons have signed Vereniki Goneva from Leicester Tigers from the start of next season. The 31-year-old Fiji international, who plays on the wing and at centre, has been with the Tigers for four years. He has made 78 appearances for the Welford Road club, scoring 32 tries in all competitions for them. "He will bring another dimension to our back-line firepower from next season onwards," director of rugby Dean Richards told the Newcastle website. Goneva has scored 15 tries for Fiji and won 39 caps, the most recent against Uruguay during last year's World Cup. "It says much for the current standing of the Falcons that we can attract a player of his calibre," Richards added. "We are getting not only a world-class player with Vereniki, but also somebody who has consistently proven they can thrive in the Premiership." Read more on Six Nations 2016: The top tries of the tournament, but which is best?